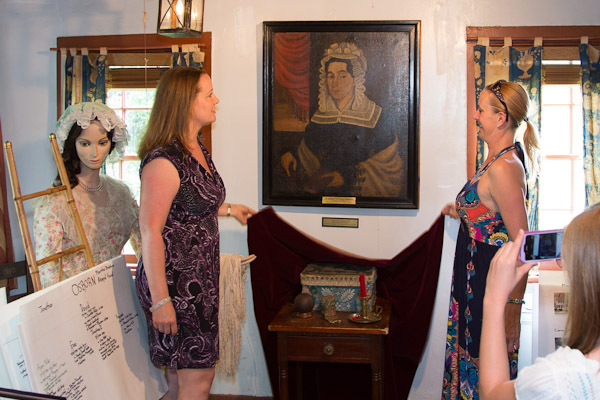 Direct descendants of Aaron and Harriet Osborn formally unveiled and presented the two portraits to the Historical Society of Scotch Plains and Fanwood on Sunday June 3rd. 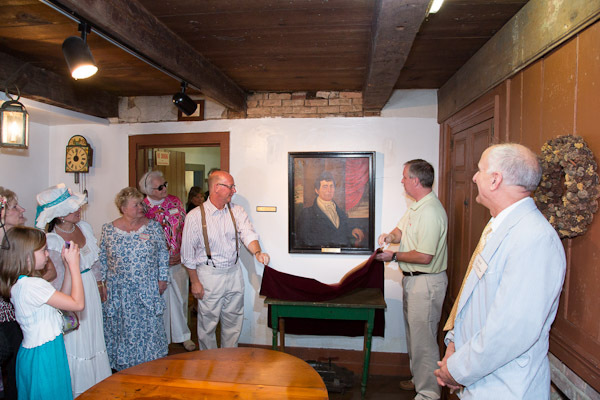 Aaron Osborn was the grandson of Jonathon and Abigail Osborn who built the house that is now Osborn Cannonball Museum. Aaron was the oldest son of David and Charlotte Miller Osborn. He and his 2 brothers Ezra and Jonathan and sister Frances lived in the house on the corner of Park Ave and Front Street which is now our village green. 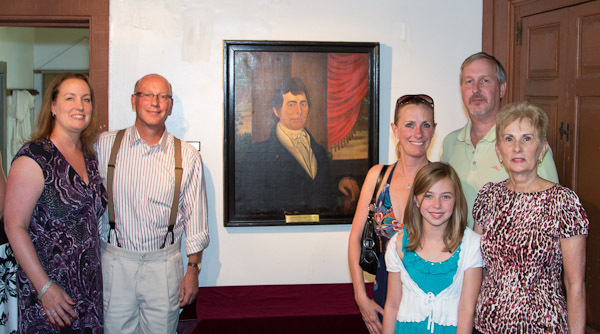 Aaron married Harriet Manning, a local woman, in 1810 at the Scotch Plains Baptist Church. They only moved a short distance away to 125 W. Front Street in Plainfield, where he ran a country store and stage line. 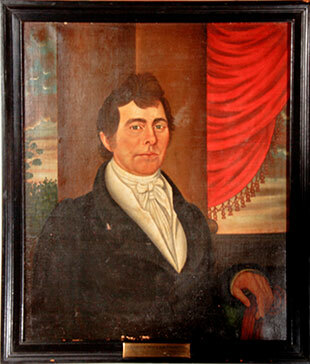 Aaron became the third Postmaster in Plainfield, a position he held for over 10 years. They had 7 children in their brief 17 years of marriage. They both died young; Aaron in 1827 and Harriet in 1829. It is believed that their children were raised by family members in the area as the Osborn children all married into local families in the area. 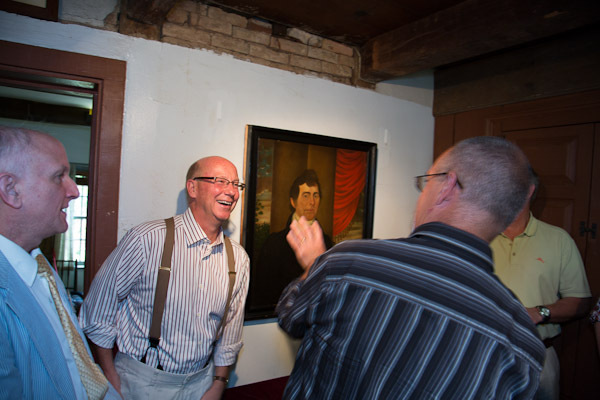 These two portraits were painted by the well-known portrait artist Micah Williams. They are now recognized as his earliest known oil works as he is primarily known for using pastels. 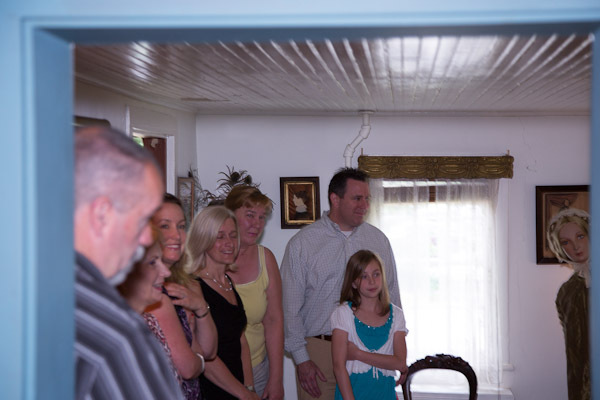 Although Micah Williams works are mostly of families from Monmouth County and Aaron and Harriet resided in Essex (now Union) County, there are strong family connections to Monmouth through both the Osborn and Manning families. The portraits are fragile and currently only in fair condition. The Historical Society of Scotch Plains and Fanwood are seeking ways to finally get them conserved to their former beauty. Winterthur Museum/University of Delaware Program in Art Conservation has agreed to assess them and make recommendations as to their conservation needs. Decisions for their conservation will be made at a later date when all the research has been completed. 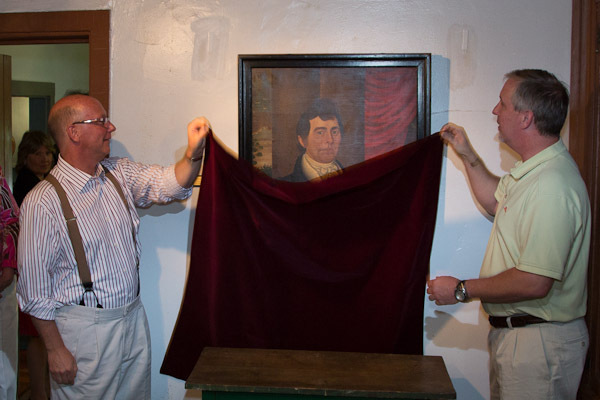 How the portraits returned to the Osborn House is an interesting tale often filled with more questions than answers. Passing from generation to generation, Professor Bradner W. Coursen obtained them 25 years ago. He wondered who they were. In researching his family tree he discovered he was a direct descendent of Aaron Osborn. What is known is that Aaron and Harriet’s youngest daughter Margaretta (Margaret) who was born in 1824 ended up with the portraits. 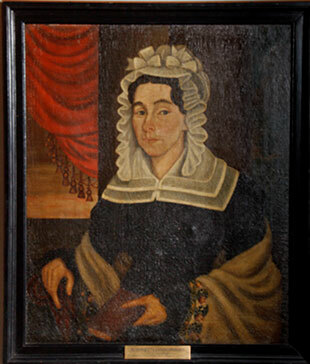 In 1843 she married William Drake, whose family resided at the Drake house in Plainfield. 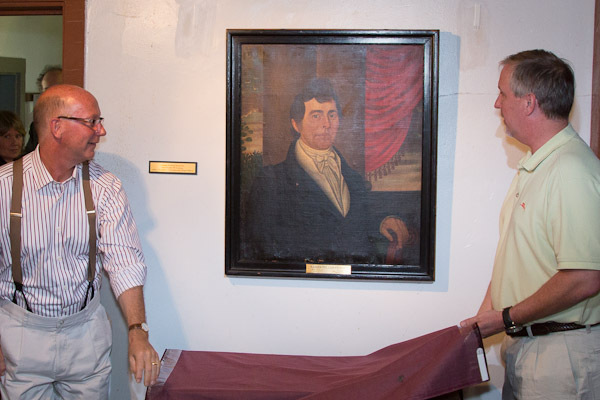 The portraits then traveled through the Drake, Bunnell, Meyer and Coursen family until Bradner Coursen generously donated them and they have returned to Scotch Plains. 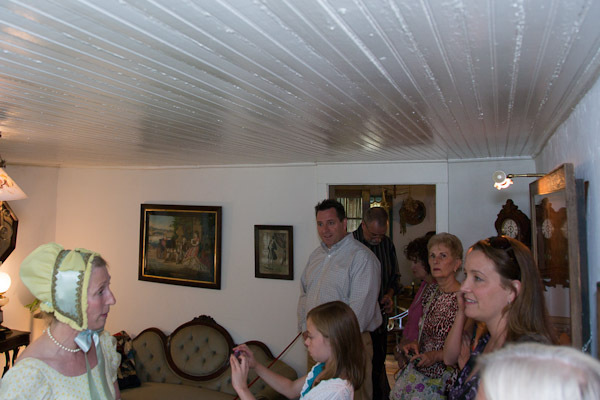 A reception was held on Sunday June 3, 2012 where Aaron and Harriet’s paintings were unveiled by 12 of the Coursen family. 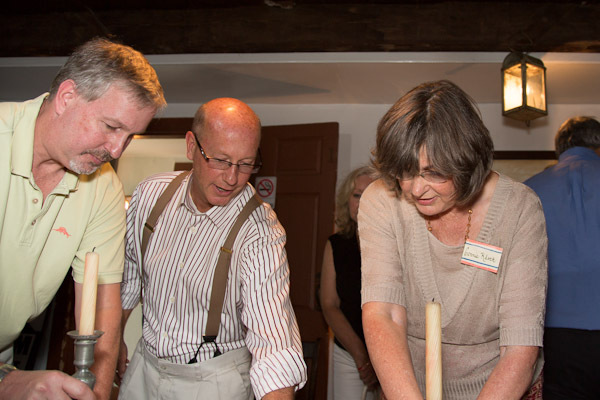 In the museum’s colonial garden, Eighteenth century food made by many the society’s members was offered. 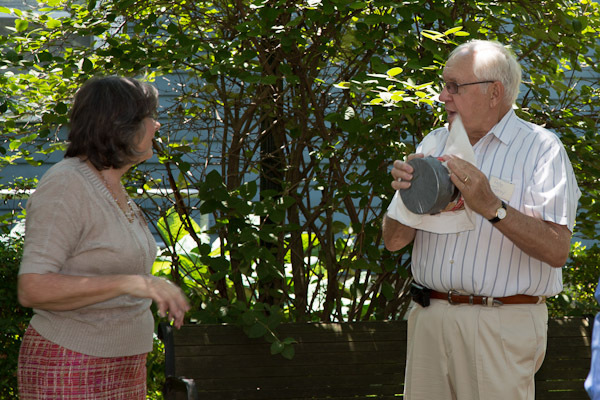 Under the grape arbor and amongst the lavender, herbs and elaeagnus, the Coursen family, some Scotch Plains Council officials, Society members and friends all enjoyed an array of treats, punch and even homemade ice cream made by kicking it in a can. A brief rain shower didn’t disturb the food, fun and fellowship. 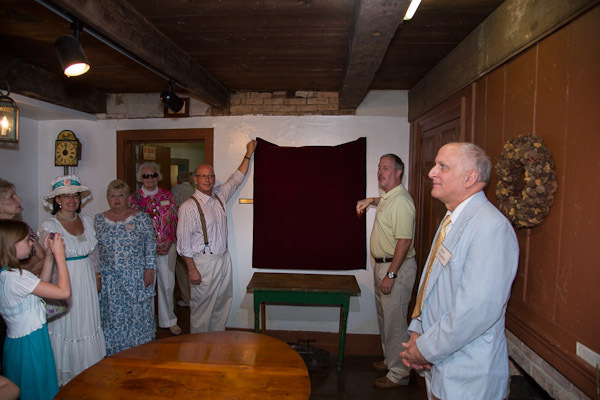 We thank the Coursen family for their gift as it will add to Scotch Plains’ rich and diverse history. We also thank all those who continue to support, preserve not only our museum but our town’s history as without you it would be lost forever. Please view some other photos from the reception.